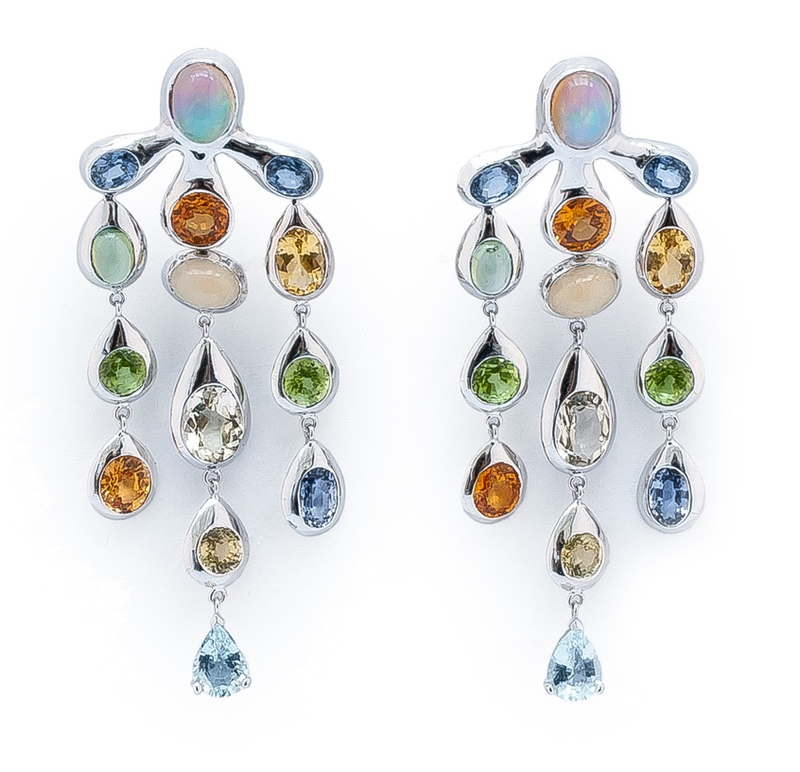 Earrings in 18 carat white gold, set with tanzanites, mandarin garnets, white opals, green tourmalines, yellow and blue beryls. All the colours of unexpected delight and happiness. In order to extend the pleasure and enjoyment – the chandeliers can be transformed into sweet and exciting pair of studs.